The presentation addresses the geotechnical challenges during the seismic design of Lucas Museum of Narrative Arts (LMNA). Designed by the award-winning architect Ma Yansong of MAD Architects, the LMNA will exhibit renowned works from around the world, digital technologies, daily film screenings, and educational opportunities for all ages. The museum will house the private art and memorabilia collections of famed filmmaker George Lucas and his wife, Mellody Hobson. 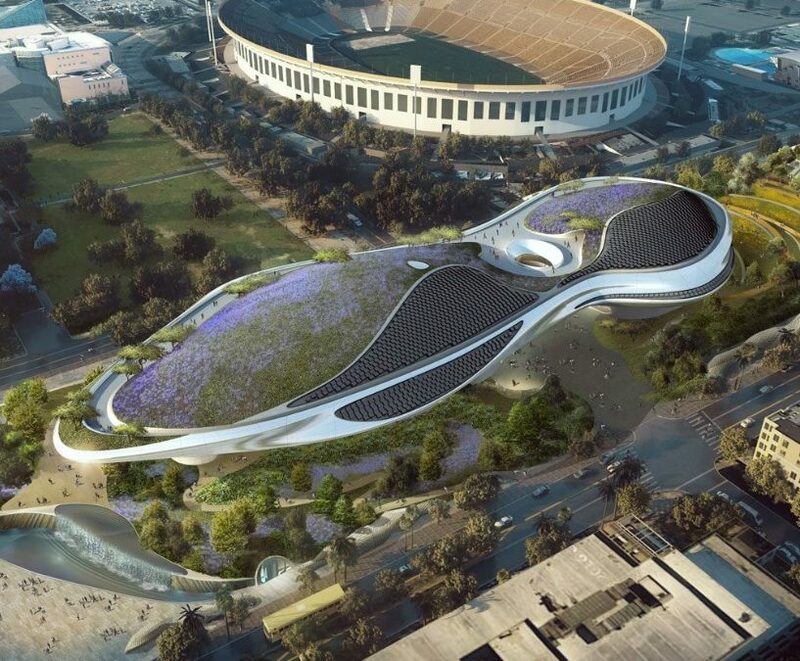 The Museum will be constructed on two state-owned parking lots on Vermont Avenue south of Exposition Boulevard in Los Angeles. Construction of the Museum is expected to take approximately three years, beginning in January 2018 and finishing in 2021. The LMNA building will be a five-story, 115-foot-tall building. Nearly one-third of the proposed building’s 290,000 square feet will be dedicated to gallery space, with other program elements including a movie theater, a lecture hall, a library, a restaurant and several digital classrooms. A publicly accessible green roof terrace will cap the building, while a 2,425-space parking complex will be located underneath. The new museum and surrounding 11-acre public space are set to revitalize Los Angeles’ Exposition Park. The non-profit museum features an ethereal, almost floating design that was preserved due to a new method for prediction of earthquake ground motions using probabilistic seismic hazard analysis with improved accuracy and reliability. The LMNA building is designed to be seismically isolated, with an effective isolated period of approximately 4 seconds. The base isolation system decreases the participation of higher modes of vibration. The state of practice for seismic hazard analysis (SHA) uses semi-empirical ground motion models (GMMs) with average source, path, and site effects derived from global catalogs (ergodic models). Ergodic model require application of relatively high aleatory variability, which increases hazard at long return periods. We report the results of SHA performed using both ergodic and non-ergodic site response models. The non-ergodic procedure follows that described in Stewart et al. (2017). Though the mean site response was similar to ergodic models at 4 sec when basin depth is considered, non-ergodic mean hazard results were lower at the 2500-year hazard level, reserving the aesthetic design and allowing a relatively compact base-isolation system.